Does Suze Orman's Prepaid Debit Card Make Sense for You? Does Suze Orman’s Prepaid Debit Card Make Sense for You? Suze Orman is famous for her personal, easy-to-digest, and friendly personal finance advice. Many of us less famous (far less famous, in the case of this writer) finance writers admire her general approach, which boils down to “spend less than you earn.” Who can argue with that? So imagine my amazement at the news this week that Suze will be offering a branded prepaid debit card. While they are cards that are available to consumers with bad credit, they don't help consumers build credit, though they are advertised as doing so (any help would be mild at best — the reporting they do is only to smaller credit reporting agencies, not the “big three” that man the velvet rope for most consumer debt in America). They're punishingly expensive and seem more directed toward association with the personality branding the card than any financial benefit. Russell's “Rush” Card costs between $4 and $15 upfront, with $10 monthly fees and $1 per-transaction fees. They're accused of using celebrities to take advantage of both the hopes and difficult situations of the “unbanked,” mostly-lower-class, often minority consumers whose financial situation is so bad that banks won't take the risk of giving them checking accounts. Orman has a different idea. She, too, wants to convince the unbanked to use her prepaid debit card, but she wants to charge less. Her “Approved Card” is far cheaper than Rush or the K thingy — only $3 to purchase the card and a $3 monthly fee. ATM transactions from the Allpoint network (found in 7-Eleven, Costco, Kroger, CVS, and Walgreens) are $2 per withdrawal, and point of sale transactions, such as purchases at the grocery store or coffee shop or online, are free. Balance inquiries and some declined transactions are $1 , but it's free to be declined at the register for a regular PIN/signature transaction. Many of these transactions, especially ATM withdrawals, are free for 30 days with a direct deposit or bank transfer into the Approved Card account, making them a great product for customers with some sort of automatically-deposited income (even, for instance, unemployment). Notably, electronic debit bill paying is free. Many competing products charge for this service, from $1 to $3 per transaction, and it's the service that customers without a regular bank account need. Often, discounts and special deals are available to customers who allow vendors to debit their account each month. The concept that sells many prepaid debit cards — the quasi-justification for how expensive they are — is that they might help in the quest to raise a credit score. If a credit score is low enough so that a mainstream bank isn't part of your personal finance portfolio, can a prepaid debit card even help? Probably not. Wanting to change credit score calculation is easy. Changing is hard. Orman has done the near-impossible and convinced TransUnion, one of the big three credit bureaus, to collect the data about spending habits from her customers. But what that will do to credit scores is another thing entirely. The answer, probably, is nothing. The problem is that TransUnion has only been persuaded to evaluate the data Orman will collect with her Approved Card; it has not promised to include that in credit reports nor in the calculation of scores. If, after two years, it finds the data meaningful, it's still unlikely to have much of an effect on the resultant calculations. Responsible use of a prepaid debit card, after all, hasn't had much impact on the financial institutions that sponsor the card — in this case, Orman's own company — so the patterns of data don't have much meaning. These all can be shown far more reliably through existing reporting. A consumer who pays rent on time each month in cash won't differ, to the eyes of TransUnion, from a consumer who pays rent on time each month by automatic debit from her Approved Card. Similarly, failing to overdraw an Approved Card account (that is impossible to overdraw from, except perhaps for a few $1/$2 ATM transaction declined fees) is very different from failing to overdraw a bank account. Why would you use a prepaid debit card? There are two groups of people I can see benefiting from using a prepaid debit card, as well as one group I would caution to avoid it. All of them could achieve higher credit scores, but not in the way you think. Let me explain. Those who have very bad credit, especially with recent negative experiences with bank accounts, should use a prepaid debit card. My sister-in-law still owes money to one (or maybe two) financial institutions, after having had several subsequent overdraft fees and never having the several hundred dollars to pay it off and get back the ability to use her account. This is a very common situation, thanks to the unreasonably large fees most banks charge per overdraft (you've never been nauseous like the nausea from a few $35 fees for $4 and $5 transactions — or an overdraft fee of $35 for a $30 check).Even the recent consumer protection limits don't prevent people from getting in these situations (or being in them already), and those consumers may as well use prepaid debit cards, as it won't be easy to do business with a bank until you pay off those old debts. Those who have had overdrafts recently and who are, or expect to be, living paycheck-to-paycheck for the foreseeable future, should use a prepaid debit card. I know how my sister feels, as I've been in exactly the place she is now; husband with scattered temporary work and scattered temporary work herself, juggling a baby and a pile full of student loans. It may be that they have plenty of money to pay the rent. Or, they could be scrambling come February 5. And March 5, and April 5, etc., etc.It makes more sense for people like them to use prepaid debit cards precisely because you can't get into those nasty credit-killing messes. With a bank account, you're either tempted to write a check on the 5th and hope you can deposit something on the 6th to cover it; or you're bracing for the automatically debiting phone bill that you just discovered you won't be able to cover. Using a prepaid debit card won't positively impact your credit score, but it will keep you from doing things to worsen it (and could, if you're like me, save you lots of those stupid fees so you can afford to pay your minimum debt payments). Those who need to increase their credit score fast should not use prepaid debit cards. The best thing you can do to increase your credit score is to use credit. Debit cards are not going to help with this one bit! Most especially these prepaid ones, with reporting almost nil and information only theoretically useful (even to those who preach using cash like it's divine salvation). Prepaid debit cards will tie up cash that could be used to get a prepaid credit card, or to pay your mortgage on time, or the minimum payment on an installment loan — you get the picture. One last word of admonishment about focusing one's financial life to better one's credit score: I think this is largely baloney. 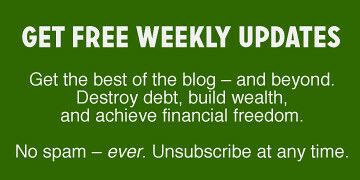 You're far better off arranging your financial life around living more frugally, paying off debt that you do have, and finding ways to avoid incurring new debt — say, buying a beater car until you can afford to save up for a nicer one, or renting a low-cost apartment until you can save up a very large down payment for a house. Ideally, you would be living in a way that makes credit scores worthless. Naturally, we're not all living in this paradise. There are very valid reasons to hope for a great credit score, not least of which is that many jobs include a credit check sometime between interview and first paycheck. I get that sometimes you need a good credit score (especially if you want to buy a home). But if you're like me, and already have both a mortgage and reliable transportation (a fancy bike, in my case) and don't see applying for a job in your immediate future, just work to improve your financial situation. If this means signing up for Suze's debit card, you have my blessing. There are 59 reader responses to "Does Suze Orman’s Prepaid Debit Card Make Sense for You?". With the fees this card charges, it doesn’t make sense for anyone. This is a pathetic money grab by Suze Orman, targeting the very people she aims to help. You might as well call her Suze Kardashian. If you don’t fall into one of the categories that may benefit from the cards, then I recommend an alternative. Ally bank, although has no physical branches, offers a checking account with no minimum and zero atm fees for use at ANY atm. Oh, and the cost of the account is FREE. The only downer I found since becoming a member is I cannot deposit cash. In that case, you can take your cash to a grocery store and get it converted to a money order for $.99 if you want the cash deposited into your account. ING Direct does the same thing and since they require a brick and morter bank account to prove identity, I can just deposit cash there and transfer it over. I have to admit I was a little skeptical of Suze’s new product and with all the fees, it doesn’t make much sense to me, but maybe it works for some folks without any other options. Is this even a debate? Pre-paid cards are a rip-off. Not a question of if, only a question of how egregious the skimming is. Orman is a disgrace for voluntarily associating herself with them. At this point her brand is utterly destroyed. banks that routinely nickle-and-dime their lowest amount depositors? What’s that other than a gun to the head?…give us all of your money or we’ll just take it? a credit card is better with their “we can change the terms and interest of this contract at anytime but you can’t” contracts? No you knucklehead. Not as opposed to a regular bank. Or a credit card. The point of Orman’s card is to catch the “unbanked” i.e. those who aren’t with a regular bank – and then fee away their money slowly but surely, just like the other rip-off pre-paid cards. Let’s try to compare apples to apples here. No it does not make sense for me, and I dont think it makes sense for anyone. She rails against paying stupid fees, them inserts them into this card. Someone got a little greedy, and chose money over values! Agreed. This seems like a whole lotta hypocrisy on Suze’s part. Even at the ‘lessened’ rate those fees are still ridiculous. She should be showing the public how to avoid such scams, not giving them another opportunity to have their money needlessly taken. Its appealing to a new class of people. Not the wanna be blingers, but the saps who THINK they are cleaning up their act with Suze Orman. I listened to an interview with Suze over the weekend and she said certain fees had to be charged by law. Yes, and taxes need to be paid on gambling winnings. So what. If Suze Orman were an anti-gambling advocate, this would be like her opening a casino. But advertising that the house “only” wins 52% of the time, not 54% like other casinos. I don’t see how anyone can fail to see the brazen hypocrisy here. I really don’t like this. I live paycheck to paycheck and have lots of scattered jobs, but I STILL use my bank account and my debit card. I don’t allow overdraft on my account (this must be an option by federal law) which means they HAVE to turn me down at the register if I don’t have enough money in my account. I’ve never been in that situation, but knowing that there’s a limit makes me feel better, just in case. I was just about to mention this. You are completely correct in that you have to opt-in to allow for overdrafts on your debit card. Although this doesnt change bounced check charges or ACH overdrafts. Although both of those can be avoided using simple arithmetic and being well organized. May make sense to me as I’m a cash freak. But I do have a citi account (mandatory for a previous employment for which I’ve not found a replacement account–rose by any other name) for some online non-cash services. Otherwise I pay everything in cash, on personal principle among things. But that citi account eats at me; and my no-credit score makes other account acquisition too painful a process. I’m no suze fan per se–I don’t play her sport or on her field–but if it’s a choice between paying her $15 or so a month to take care of a few things, that’s still cheaper than my $90/mo. citi account. A cheaper mafia is a better mafia. Besides, I loathe citi and their ilk and probably would do it just for spite. The only sticking point for this privacy paranoid is that she persuaded TransU to track the guinea pigs. Otherwise for me, it would be a win win…no-strings digital cash–the bane of the bureaucracy and nosey parker marketeers everywhere. 1) Renting an apartment. My application for an apartment many years ago was turned down for having “no credit.” At the time I was between jobs, so the only means of trust the apartment complex had was my non-existent credit score. I started using my credit card again and paying it off in full at the end of each month. 2) Using an ATM machine for deposits. Because of fraudulent check deposits, my credit union will not accept ATM deposits from those without credit scores or with poor credit scores. 3) Opening a checking account. After the credit crunch of 2008, my credit union (along with other conservative credit unions) required applicants for checking accounts to have credit scores of 600 or higher in addition to ChexSystems. The rules were recently relaxed on personal accounts. However, business accounts still require a credit score of 600+ for each person on the account. 4) Buying a car with staggered cash. A few years ago I found the used car I wanted and planned to pay for it with cash. Because I did not have the full amount in my checking account at the time, I offered to pay with a check that day and another check later that week. The car dealership agreed to this after checking my credit score and filling out the paperwork for a loan to cover the remaining amount. I paid off the remaining amount later that week with a second check. I think credit scores are baloney, too, but it seems they’re becoming necessary for better financial options. For example, my business partner does not have a credit score at this time, so I could not open a joint business checking account at my preferred credit union. Instead, I had to open a the account at Wells Fargo, which charges for bill pay and check images. These services would have been free at the credit union. Agreed, credit scores can also impact ability to get insurance, i.e. car insurance, hazard insurance, etc. While I don’t think people should take on debt or risky products to obtain a credit score or improve a credit score, most people should be concerned, monitoring and improving their scores for a variety of reasons. Good points. I was going to ask what it was that the “unbanked” were hoping to raise their credit score for — thinking that the real big ticket item that depends on it (a house) is probably out of realistic reach for anyone in that situation. But I think that’s my answer. this “unbanked” is only unbanked on principle. I don’t like big banks; I don’t like fiat currency that is being inflated; I don’t like being forced to do something I wouldn’t otherwise do (get credit) in order to function daily in society. If I were eligible for any credit union, I would; but I’m not so I can’t. I am unbanked because I simply refuse to continue to support the illegal and parasitic system that is the american banking system which thinks it can dictate how I live. I “have” to have a credit history to rent a house? Fine, I’ll live under a bridge. Gotta draw the line somewhere or someday, that same bank will be deciding whether you or your children EAT or not. As soon as we stop being afraid of what not having a bank’s blessing may mean to us, perhaps the banks will again begin to be afraid of us and begin treating us accordingly. Again…where’s MY bailout? I may end up being the only one under the bridge, but I’ll sleep good. Suze Orman really said that? I wondered if that was valid ’til I followed the link. That’s amazing!! But it makes sense especially since people spend sometimes TWICE AS MUCH at the grocery story when’s they use plastic instead of cash. Along with that, the average purchase at Mickey D’s SHOT UP from $4.50 to $7 when the began accepting our plastic! Suze should be ashamed of herself. She is banking on the unbankable, the ones who will not read the fine print and study all the fees or how to avoid them. Let’s face it, no matter what she says a prepaid debit card can not predict credit worthiness. If that happens the loud boom from all the personal finance community falling to the floor will be heard around the world. Sarah – I really enjoyed this article. I think you provided a lot of detail and covered both the pros and cons well. Since I’m Canadian, picking one up isn’t an option (even if I wanted it! ), but it was very interesting to read. Suze Orman is a marketeer just like any other. Good ol’ CASH doesn’t come with any service charges. Why not advise people to use cash instead of a debit card? Because she can’t profit from that advice, that’s why. Not all bills can be paid with cash. And it’s not always safe to carry cash in some areas. There are a lot of migrant workers in my area who are paid with cash and are a huge target for theft. For them a card like this would make sense. i was surprised to see the email land in my inbox- i had to double check to make sure it wasn’t a russian babe sending me more money and pills. it instantly discredited suze orman in my mind- previously i thought she was a little flippant and brazen but generally on the right track. now she’s shilling for us to buy her debit card. needless to say i’ll be skeptical about any advice she puts out now, since she has a serious conflict of interest. @7: ninety dollars a month?? holy cow! what kind of account is that? fwiw, i’m broke as a joke and would never consider one of these cards. if i’m keen enough to be reading about personal finance, i’m going to know that this is a bad idea. i love the bit about how your card getting rejected is free. oh rly? how kind of suze. since I closed all my savings accounts and moved my assets elsewhere, I get hit with EVERY fee on Citi’s books. But every time I do it bounces up to my losing a stupid amount of money for routine living. They even charge me a transaction fee for a savings auto transfer into an orange account. As it is, it is simply a way station…oh yeah, and pays out two online bills of 9.99 a month which adds a $4/debit, $2/TRANSACTION fee each on top of the $35/mo account fee and another fee (I think also $35–would have to look again) for not producing 10 transactions a month. I also get at least one letter a month requesting more usage or they may have to close my account. People above talk about the fine print on the pre-paid cards…the fine print on what they can charge you if you don’t have multiple accounts at the bank is just as opaque. I was very disappointed to see the email from Suze re: this card. I watch her faithfully every Saturday night. It felt like a blow to the stomach. She should be ashamed of herself. For the record I’ve read most of her books…from the library. Orman is fighting the good fight. It is difficult to live without a credit card and that is flat out wrong. I lived without a credit card for several years. I’ve taken out and paid back large loans early. I haven’t missed bills. As far as the credit agencies are concerned since those loans weren’t recent, I have NO CREDIT HISTORY. I tried getting a discount card for a gas station and got turned down. So, like everyone else, I applied for a credit card yesterday to build a credit history for myself in case I ever do want a loan someday. Been there done that. I vented my spleen a few years ago on this site about credit ratings and how credit cards are tied into them. Its amazing how we have let the money lenders hold the keys to the temple. I too had NO CREDIT HISTORY even though I had paid back three bank loans early and had a checking account since I was 17. At 26 years old I had a Hell of a time getting a Sears card. This is how the modern banking system rewards thrift and monitary discresion, by screwing the frugal to death with credit ratings that in most cases dont mean squat, and giving “credit” to those that squander their money. No wonder Western banking institutions are despised like vampires!! This site(GRS) is now owned by these piranas. The good blogs are all selling out to marketing companies. Marketing companies do what market credit cards & other goods we don’t need to get us in debt. I feel J.D. would have been better off to charge for his site than sell it out for exactly what he was supposedly against.The simple Dollar is also now owned by a marketing company , but a different one. I can’t even get into The simple dollar anymore as my computer security says that there is malware that is tracking on there site & won’t let it attach to my computer.This comment probably won’t be let past I’d say. Me too. I paid of my tiny credit card debt and canceled the account in my early ’20s. A few years later I wanted one for a specific purpose – and couldn’t get one, because my credit record was too small. No student loans, no car loan, no revolving credit debt = low score. Ridiculous. I’ve had a checking account since I was 17 so sometimes I forget that there are many people who don’t have one or can’t get one. I take for granted how convenient it is to pay a bill by check or these days, online. I wouldn’t have any use for Suze’s or any other prepaid debit card, but I’m not her target demo anyway. But obviously there’s a need for these types of cards since there’s so many of them out there. Good article, you really did your research. I agree with you that this card is probably reasonable for people with really bad credit, but not everybody. Maybe Suze can get the credit Bureaus to change, we will have to see. I do not care if its Suze Orman or Oprah…. a prepaid debit card is good only when someone funds it and give it, then again just give me the cash! The expense on any prepaid card is too high and if we were to consider the ROI is poor. Suze’s card makes the same amount of sense as payday loans. do your research. when was the last time you took out a payday loan? her terms are much better. In fact, her card is cheaper than my citibank debit fees simply because citi punishes me for not keeping my savings with them…as if. i am seriously contemplating getting rid of the account for a prepaid card. the only thing I don’t need cash for is an online video game. Any landlord that wants a check, with transfer time, as opposed to CASH on the 1st…well, more power to them. I won’t be renting because I choose, not because I can’t. now, if i were a candidate for payday loans, I wouldn’t be able to afford to be a devote of an online computer game now could I? (no, its not WOW). But just because I said something highly questionable, like “I pay for a video game”…that’ll make anything else I say null in void huh? Well, if she gamed her credit score she wouldn’t have to play online games …she could get a life (have one, thanks). two sides to every coin, people…TWO sides. Why won’t some of you understand that there are those who choose not and not because they can’t choose otherwise. There are many paths to financial responsibility. Quit hating on people who are trying to clear paths other than the one you chose. Excellent research! I suppose it’s impossible to disagree that some people find themselves in binds that make this sort of analysis inevitable. Unfortunately, most good financial planning is exactly that–planning–and to be effective, it needs to be done before reaching a point of desperation. Thanks for the insights! A couple of months ago I skimmed an article in the WSJ about Walmart’s prepaid Visa. It seems like a much better product than Suze’s card for the target audience. I agree she should be ashamed of herself. So basically this prepaid card is like a checking account with a debit card attached, but with higher fees than the bank. It always crack me up when people talk about “building your credit”. A friend of mine went bankrupt last year and the lawyer told her to get a new credit card right away to start “building her credit.” I told her about the stats for bankruptcy recidivism and suggested she start saving instead of playing with credit cards. When are we (as a society) going to start talking about “building our savings” instead of building “credit”? Because if we built enough savings we would never need loans. Anyway, Suze Orman lost me a long time ago with her “get into debt” advice for the “young and fabulous.” It was predicated on the false premise that life will always keep getting better. But even the young and fabulous get sick, suffer setbacks, lose jobs, are laid off, and end up stuck with 29% interest on last year’s restaurant meals. Debt is a gamble no matter how many layers of BS you coat it with. Orman also had some sort of conflict of interest I think when she was pushing the FICO score as the key to the universe. Didn’t she get sued for it? But seriously, when are we going to start focusing on building savings? Seriously. Our mainstream culture is more than slightly deranged. I wanna BUILD MY SAVINGS and never have to ask for borrowed money again. Ever. I just skimmed that book at the library last week and was horrified. While I find most of her advice to be reasonable, her recommendation to those just out of college to hold out for that “dream job” and use credit to fill in the gaps was insane. I can name several recent grad friends who would be over their heads in debt (not even counting overwhelming student loans) if they had followed this advice for even a few months. Recent grads have NOT been taught how to hunt for jobs effectively and they’ve been told their degree is a guarantee; imagine that mentality and being advised to just charge it until you make it. I feel like she’s completely clueless and out-of-touch, both about what it’s like to be this age and what it’s like to graduate into a horrible economy, where skilled, talented, intelligent people go for six months or more without getting a decent job. This advice is irresponsible at best; at worst, it’s a license to the deluded to ignore reality and continue living on unearned money. There is absolutely no guarantee that if you’re unemployed you will get hired in a reasonable timeframe, especially if you want to be selective about your job. So to loop it back to this article…yeah, Suze Orman’s got some common-sense stuff to say, but some of it’s just plain terrible. Woo hoo, testify Brutha! 4-5 years ago my (heavily financed) business collapsed. I staved off bankruptcy just long enough to settle on my meager income, and decided “never again.” I have never used or applied for any credit since, paid off all my debts, saved hard, and just bought our first home for cash and moved in last weekend. I cried that day. It’s mine. No payments. No qualifying. No people saying you won’t pay. I think people are being a little too hard on Suze here. Maybe it’s just my Canadian perspective, but bank fees at all the major brick and morter banks are more than $3/month unless you have a high minimum balance and do not include unlimited transactions. I have to keep $3500 in my account to get free banking at TD Canada Trust (($52.50 a year in interest I’m losing if I had kept it at ING). I guess that is apples to oranges, but $3 a month or $36 a year is not a lot of money for a chequing account even if not free. But you do get free unlimited credit reports and credit scores, don’t you? That’s a $24 a pop value since I check my reports once a year online (although you can get your report not score mailed to you for free). It’s an infinitely better value than most pre-paid debit cards and I applaud that she is trying to get credit bureaus to recognize debit card use in credit scoring (even if futile). The emergency fund feature of the card is neat and may help it’s target audience build savings. But definitely, this card is not for everyone and even for it’s target audience there are a few better cards. But it is not “worse than payday loans” like some commenter said. It’s not the monthly fee, it’s that she nickel-and-dimes you at every transaction whereas the bank doesn’t. While prepaid card fees milk the poor, the scammy part of Suze however is the “credit score” BS, though yes, it’s not payday loans (which aren’t illegal by the way). I have to agree with Adam P on this. I do not see why people are so outraged about a card that has a $3/month fee. I could see the card being useful for someone who has no checking account or credit cards. The free billpay alone could easily pay for itself. When the alternative is spending 50 cents or more on a money order and 44 cents on stamps to mail bills then free bill pay can save you a decent amount when you have a few bills to pay. The vast majority of people are going to do better with a free checking account. But that doesn’t mean the card is a massive rip off or scam. Suze Orman is a hypocrite. There. OK, now onto something you can use. Amex has a prepaid card that charges no fees at all, if you stay under one ATM withdrawal a month. They even had a promo when I got it, they gave ME $25 to open a new debit card and put $25 on it. So there are good deals on prepaid debit cards. Next. One is that you now have a free savings account for infrequent cash withdrawals, or for purchases you make with Amex. Also, you have a modern version of American Express traveler checks – they guarantee your funds if you card is stolen or lost, and will transfer your funds to a new card for no charge. And for those who have to see a credit benefit to even consider a prepaid card – Amex will watch how well you load up and spend down your card funds. If they think your activity is responsisble enough for their credit models, and decide you could support an Amex charge card, you will be invited to apply for one. This Amex card is the only prepaid card I ever considered everything else is a rip off to me. Don’t buy any old beater car to save money. Buy a safe old beater to save money. Car accident injuries are one of the larges and easiest to mitigate risks we have control over. Your bank account means nothing if you’re dead. so its a lose lose situation. I’ve seen prepaid Visas and Mastercards at Walmart and Target. Why can’t you just put out the $6 fee and buy a $200 credit card and use it till it’s gone? I don’t understand why you’d need a prepaid debit card. Never thought I would see this card on this site. It is a major rip off. Disappointing to say the least! Advertising a terrible product! The one problem I found out, from the bill collectors no less, is that when you pay on time or pay off early you risk them pumping up your interest rate or cutting you off. The reason, you’re not enough of a risk for them to earn money from. I think this is really sad, honestly. I’ve always seen Suze as someone who, while completely bonkers sometimes, always had good intentions. I like watching the “Can you afford it?” segments of her shows (like everyone, I suppose. Voyeurs we all are!). But I can’t help feeling like she’s capitalizing on that feeling of goodwill most people have toward her to create such a…self-serving product. Bummed Suze, really bummed. Also really bummed to read the twitter feeds and see her bash PF bloggers. Made my view of her go way down. First comment got it right… the fees that this card charges are ludicrous. Its embarrassing that Suze would sign her face to this product. But hey, that’s America… Everyone is willing to shill for dollars. This is one of the best things I’ve ever read on GRS in a while. Very clarifying. Thanks for this analysis. When I first heard Suze’s announcement, I assumed she was selling out, and was appalled. This article makes me think differently, especially as regards the deal with TransUnion. Maybe she is trying to do something good after all? When I was in my mid-twenties I had a $350 in overdraft fees at the bank. I got reported to Chexsystems, its a system that banks use to report bad customers. You stay on it for 5 years and then you’re removed. I paid back my overdraft fees, I’m happy to say. Anyway I learned from it and moved on with my life. I left that bank and went to bank of america. I recently left BOA for a credit union and USAA bank. I left BOA because while I had a great relationship with BOA, I didn’t want to support a bank that considered charging $5 to use debit cards. A lot of banks and credit unions have relaxed their guidelines even if you get reported to chexsystems, so its possible to get a bank account even if you messed up. Prepaid cards don’t have to be your last resort. I must say, I was very surprised when I found out that Suze was endorsing this type of product. Really disappointed. I think she’s tarnishing her reputation. I’m in New Zealand so the situation is probably a little different here. Air New Zealand just changed their airpoints program to a prepaid Mastercard – you can use it to buy foreign currency for an overseas trip as well as keep NZ dollars on it for domestic purchases. There’s a flat fee of $1 to load currency on it and the airline will be making money from foreign exchange, but no more than a bank or bureau de change. I really like it because I can lock in currency rates to save for a holiday or even buy things from overseas sites without worrying about what the exchange rate is. Does it make sense for anyone to get products like this from a financial planner? Not it doesn’t. She’s just trying to make more money. That’s all. Its better to go to a credit union or bank and ask for a second chance banking account. Or speak to the manager at a local credit union about how you’ve managed to turn around your finances.